Brenda has been in banking since 1998 and has extensive consumer and commercial lines of business experience. She spent three years working in consumer branches, four in commercial credit, one in private banking, one in commercial banking, and ten in business banking as a relationship manager. Brenda works diligently to partner with businesses across several industries in order to help business owners achieve their goals and objectives. 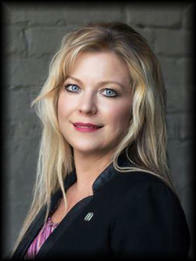 She enjoys leveraging her diverse background to be a true thought partner for her customers and prospects. Her commitment to excellence has earned her the prestigious Fifth Third Bank President’s Circle award five times. She lives in Hudsonville, MI with her husband and son. Brenda enjoys competing with her horse in equestrian shows across the United States, traveling to various sporting events with her son, and spending time with family and friends. She stays actively involved in her community through her work with United Way, Junior Achievement, Michigan Paint Horse Association, Inforum, Byron Center Chambers of Commerce, Kid’s Food Baskets, and Fifth Third River Bank Run.